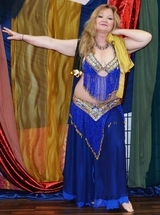 Sahra Saeeda - "Folk Dance to the Oriental Stage"
Join the Desert Moon Dancers for a dancing Halloween in the banquet hall of the Marco Polo restaurant! 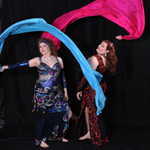 Join us for a day of dance classes and our traditional dance hafla. Workshops will be taught by Su'ad, Farasha, and our special guest instructor, Shalimar!